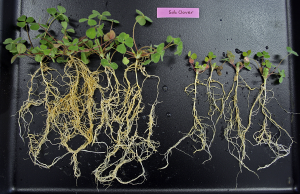 Soil & Plant Nutrients and their value in your garden. Following on from Weeds & Water, one of the biggest sources of Plant and Soil Nutrients come from Soil, the nutrients in the soil allow the plants to develop strong roots, have a healthy growth rate, and combat diseases and pests. The three primary Plant Nutrients are Nitrogen (N), Phosphorus (P) and Potassium (K), also known as NPK. Plants also need other valuable nutrients such as Calcium, Magnesium, Sulfur and small quantities of Iron, Manganese, Zinc, Copper, Boron and Molybdenum. 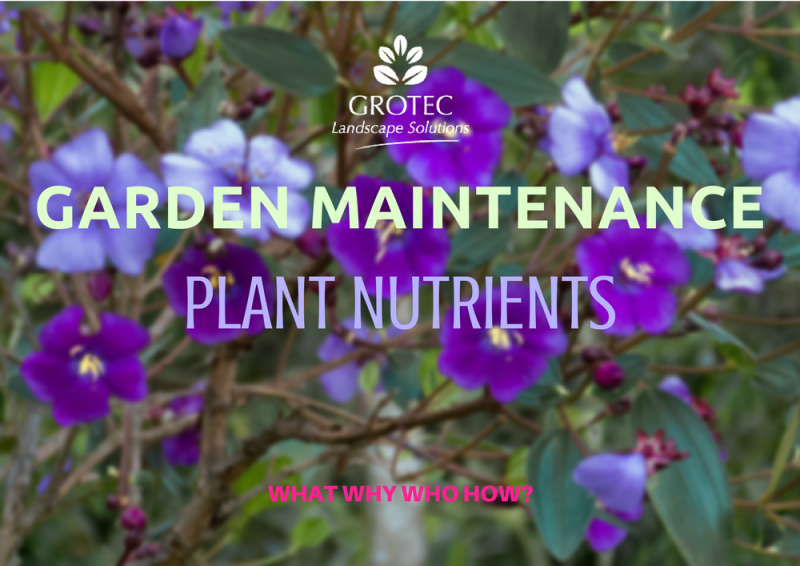 These are known as Trace Elements due to the plants only needing traces of them however they all play a vital part in keeping your plants happy and healthy. I’ve provided a brief description of the three primary Plant Nutrients however all the nutrients listed above help your plants to live, thrive and survive. Nitrogen is one of the biggest keys contributing to a plants growth and DNA, it is found in all plant cells, proteins and Chlorophyll. Without nitrogen plants wouldn’t exists. Phosphorus is a key element in root production, cell division, respiration and several other important below ground processes, it also stimulates root and plant growth as well as maturity and the breakdown of carbohydrates. Potassium increases the plants strength, overall health, resistance to diseases and droughts, the regulation of water and plays an important role in the activation of many growth-related enzymes. There are at least 17 elements that are essential Plant Nutrients, ranging from Macronutrients to Micronutrients. Deficiency or over-use in even one of these nutrients can lead to a chain reaction. This means that your plant could be Nitrogen Deficient however this could be caused by toxicity in the soil, herbicide injury or diseases. It’s always best to explore all possibilities and really examine the plants condition and environment before dumping a kilo of Nitrogen on the plant, killing it. Plant Nutrients are also very valuable to soil due to the affect they can have on changing the pH levels. The pH scale indicates acidity or alkalinity, so a soil with a pH number below 7 is high in Acid while soil with a pH above 7 is high in Alkaline. The neutral soil level which is comfortable for almost all plants sits between the 6 and 6.5 reading. Soil acidification occurs naturally and very slowly as soil is weathered, but this process is accelerated by productive agriculture and multiple uses of the same soil without a fresh rotation. Soil acidification is the concentration of Hydrogen Ions in the soil increasing due to the number of acidic compounds, this can be increased by using ammonium-based fertilisers which causes majority of the change in soil pH levels. Acidic Soil can be caused by a variety of different elements. To name a few, too much Aluminium or Manganese can lead to toxicity in plants, a deficiency in Calcium or Magnesium can turn leaves yellow and affect plant growth and a build-up of Phosphorus caused by too much Iron can lead to poor soil, plant growth and flowering. Poor Bacterial growth, mineral deficiency and the type of mulch you use can also contribute to the level of Acid in your soil. So, what is the best way to neutralise the acidity in your soil? Agricultural Limestone, this acts as a soil neutraliser and can be made up from either Calcium and Magnesium Carbonate or Calcium Carbonate. Lime reacts with an acidic soil and is dissolved by the soil, Calcium moves to the surface replacing the acid which then reacts with the Carbonate to form Carbon Dioxide and water. Before adding Limestone into your soil, it’s best to do a pH Test to find out how much Limestone you need to put in, however soil has a ‘buffing’ mechanism, this is when you add a small amount and the Ph levels don’t change. You need to slowly add more Limestone until the soil reaches it’s buffering limit and the Ph levels begin to change, regular testing will allow you to see how long it is taking the water to activate the lime reaction. 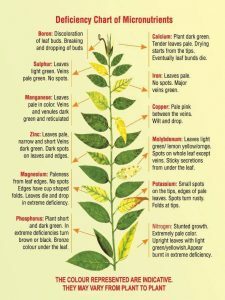 I hope this information helps you understand Plant Nutrients, Acidic Soil and why it is important to monitor your soil conditions and conduct regular pH testing. Subscribe to keep updated to understand what Alkaline Soil is and how it can be treated. Katanah and the Landscape Solutions Team.